The Moveable Feast — THIS WEEKEND! Tomorrow, July 28 from noon to 5 p.m. is the second annual Moveable Feast, my favorite outdoor food event of the year. Last year’s event was so much fun, and full of amazing food with a great sense of community. 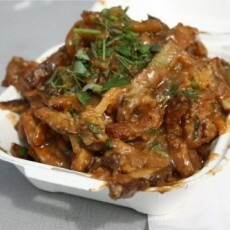 Food trucks are the best way to try different cuisines in a relaxed, casual way without spending a bunch of money. While Tacoma does have its own unique food scene, in the past we’ve been noticeably short on food truck variety. Yes, we have great food trucks and now a couple of others for certain events, but we’re still way behind in the selection of Seattle and Portland. This is why I love the Moveable Feast. For one day and in one place, you can choose from 38 food trucks/mobile food vendors and 7 breweries, all while enjoying live music and fun activities for the kids. 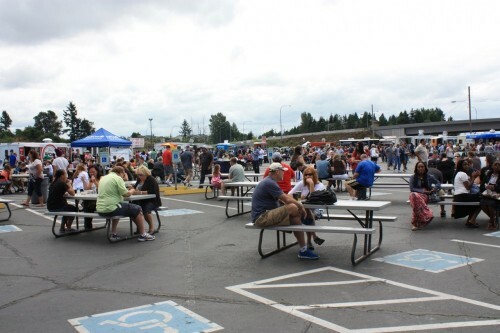 As if it couldn’t get any better, this year’s event has a new feature, the Made in Tacoma section, which will have hyper-local vendors like Lynnae’s Pickles, Little Eorthe Farm, Great NW Popcorn Company, Dry Soda, One Spot Jam, Libertine Tacoma salts and more. This doesn’t even include local Tacoma-area vendors Pampeana Empanadas, Barrel No. 51, Burrito Boy, Choripan, Celebrity Cake Studio, Hello, Cupcake, Hilltop Pop Shop, Fleischkuechle, Ice Cream Social, Reciprocity Foods, Lumpia World and Rico’s Tacos. You could almost put all the vendors in the Made in Tacoma section, which is awesome. While general admission is free, VIP tickets are still available online for $10. It gets you one hour early entry to avoid the lines, a t-shirt and parking. Last year, I did this and it was worth it if you’re trying to get food quickly. I’m not sure which trucks I’ll visit this year, but I’m excited to see some new-to-me folks like Jemil’s Big Easy, Tokyo Dog and the Box on Wheels. Check out the full list of vendors on their site and make your plan of attack. 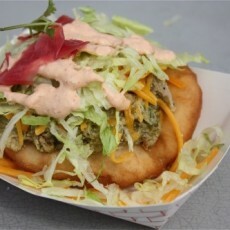 For more information, check out the article I wrote about the Moveable Feast for NorthwestMilitary.com. 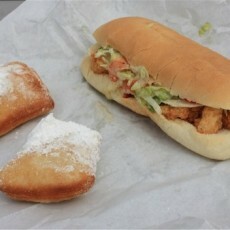 Also, check out my detailed recap of last year’s Moveable Feast, with full food truck listing. By now, Tacoma’s Secret Supper is not such a secret…but the newly formed event taking place on August 10, 4-6 p.m., is striking a chord with lovers of food and drink who wish to come together and share in a meal. 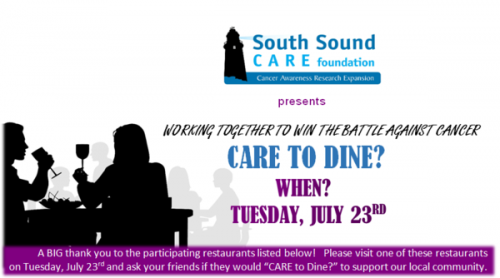 The supper is organized by the Tacoma Alcohol Consortium and Todd Buckley, whose aim for the event is to test drive the experience of a distillery/restaurant combo. The menu, below, looks to be French, paired with cocktails. 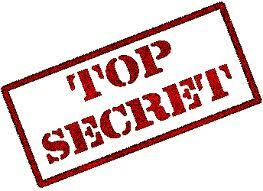 What is still a secret is the location, which is yet unknown. I checked out the new Compass Rose boutique in Tacoma’s Proctor District, the second outpost of the original store in Olympia. It took the place of Giardini Gifts, which had been open for over 20 years. Never having been to the original store, I didn’t know what to expect, and was pleasantly surprised. A kind of mini-Anthropologie feel (minus the clothes), the shop was full of thoughtfully picked items, including a kids/baby section, luxury candles, cards, paper goods and a generous kitchen section. 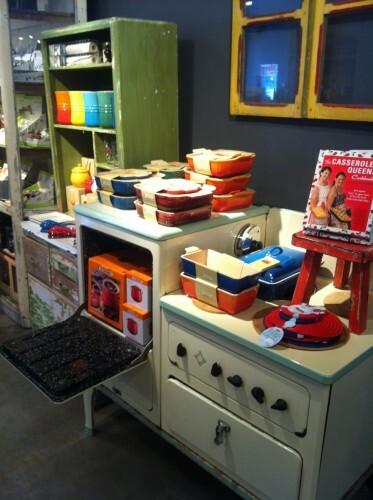 They have cookbooks, fun cooking and kitchen items and Le Creuset kitchenware. I was super excited to see the Le Creuset because the tried and true brightly-colored pots aren’t sold anywhere else in Tacoma besides Macy’s and Metropolitan Market (that I know of). Compass Rose appears to have colors Macy’s doesn’t carry, which was nice to see. There’s a Tacoma company making allergen-free baking mixes that are free of gluten, dairy, nuts, beans, soy, corn, and most are free of potato. 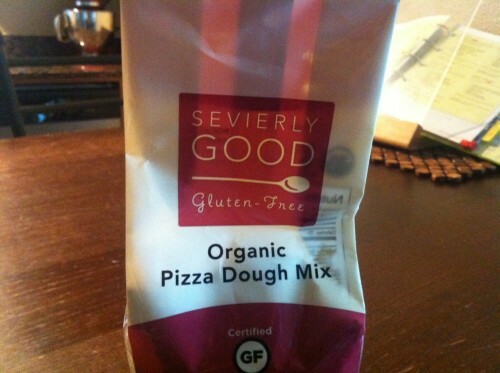 Covering the gamut of food allergens for many people, Sevierly Good Gluten Free is bringing homemade pizza dough, waffles, muffins, biscuits and more to everyone for whom these foods aren’t able to be eaten when traditionally made. Add to it that their products are kosher, non-GMO, predominately certified organic, are made in an allergen-free facility, and can be made vegan, well, they are truly able to be eaten by all. Sound too good to be true? I promise, they’re real! These mixes are a godsend for people with food allergies. Having a pre-packaged mix with easy to follow instructions, each of Sevierly Good’s products turns out deliciously, and with textures pretty darn close to traditionally made foods. To top it off, they use as many local products in the mixes that they can.